Why Optimize Your Pneumatic System with DDC? Do you currently have an under-performing pneumatic HVAC system for your commercial or industrial building in the Kenosha area? Would you like it to begin performing well again without having to entirely rework your current system? At AccuTemp Mechanical, we are experienced at incorporating direct digital control (DDC) into an existing pneumatic system. Wireless DDC can optimize control to keep you from losing time or energy. This decreases the overall cost of the unit while still protecting your investment in a commercial HVAC system. Want to learn more? Contact the commercial HVAC and DDC control experts today—or give us a call at 262-671-4012! Pneumatic systems use air as the control for HVAC systems. 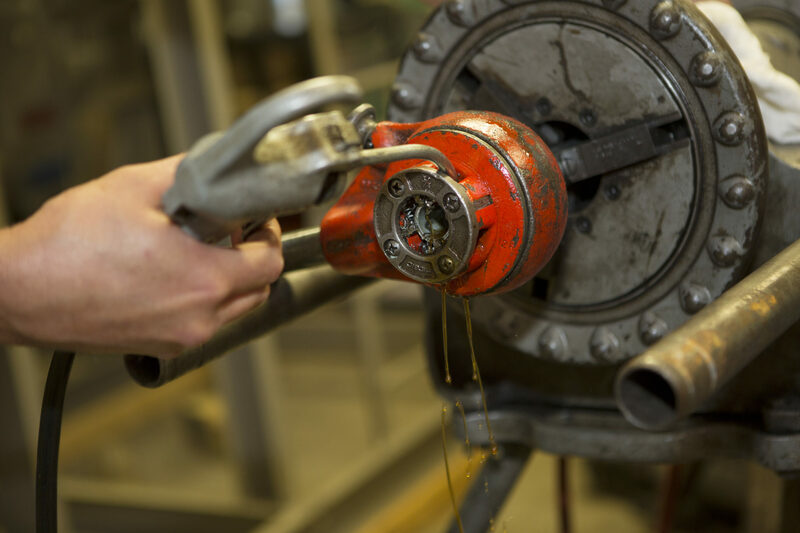 Because pneumatic systems compress the air and then send it through piping to the area being heated or cooled, there are many ways to optimize your system to perform at its best. Although pneumatic systems are effective, they rely on independent indicators from thermostat sensors while can cause fluctuations in reading the current temperature. Adding DDC to a pneumatic HVAC system gives you precise air-flow measurements to direct air exactly where it’s needed. Direct digital controls provide instructions to the system regarding air pressure, temperature, and humidity to then use resources in a targeted way. Studies have shown that adding a DDC system leads to, on average, 15% greater financial and energy savings. Utility rebates may also be available to increase your savings. By directing air only to areas that need an increase in temperature—not indiscriminately system-wide—there will be better energy efficiency, happier employees or tenants, and savings in utilities. Sensor data can send alarms and notifications to alert service personnel. If any of these are aspects of your pneumatic system that need to be addressed, talk to one of our credentialed technicians. AccuTemp Mechanical Services offers maintenance plans to save you time and money while working to extend the life of your HVAC system. We provide maintenance for your equipment, keeping everything from fan coil spilt systems to rooftop units running smoothly. Why Choose AccuTemp Mechanical for Your DDC Control Needs? Reach out through our online contact form or by calling us at (262) 671-4012 to schedule an appointment for your commercial HVAC system.